At PPM, we appreciate the need for speedy despatch of spare parts to support critical instruments in the field. We have dedicated personnel who manage the stock holding, packing and despatch to destinations around the world. Recently, we received another spares order from the Qatar Fertiliser Company for a Protoc which has now been running for over 20 years. We look forward to continuing support for this instrument for the foreseeable future. Our Protoc analyser technology has been supplied overseas which include water quality monitoring applications in India and China. 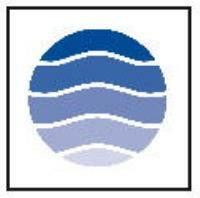 In the UK, Wessex Water have installed instrumentation to profile a major waste-water treatment facility using key determinants. Protoc TOC analyser supplied to Indian Refinery Forbes Marshal of India have secured yet another Protoc TOC order for a refinery application. The instrument will be installed at the HMEL Bhatinda refinery located in the Punjab. 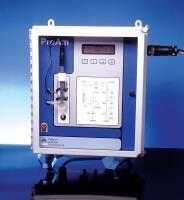 The range is 0-20ppm TOC monitoring the cooling water return line for organic contamination. The instrument will be independently inspected and the testing witnessed prior to despatch. The completed and endorsed report will form part of the quality documentation for the client’s project. Protoc 300 TOC analyser supplied to China for river water quality monitoring Shanghai Source Environmental Instrument Company has placed another order for a Protoc 300 TOC analyser. Ranged 0-20ppm TOC, the application is river water monitoring and will form part of a long-term data collection exercise. The project will establish the changes in the organic loading in the river over an extended period of time. Wessex Water Commissioning of MLSS, Ammonia, Nitrate & Nitrite analysers PPM have commissioned instrumentation at Weston -Super-Mare WwTW to continuously measure the treated liquors at this large Somerset waste-water treatment facility. All the signals are connected to the site Scopex system which data records so the Scientists can evaluate and optimise the treatment process. The instrument also provides local trending so operational staff can visualise the data and identify how the biological process is performing. Please send me more information on PPM News - October 2017 .